Are you tired of your current bathroom? You feel like it looks dated, is anything but modern and stylish, and the word “dingy” has crossed your mind way too many times. Get inspired to renovate your bathroom this new year! JJ’s Plumbing specializes in bathroom (and kitchen) renovations. Did you know that bathroom and kitchen renos are some of the most common household renos in the Greater Vancouver area? These rooms get a lot of use, not to mention, the bathroom is likely the first spot you start your day – this is an important detail. From updating your fixtures, bathroom, and shower, to choosing preferred paint colours and new tile, these changes would make a significant difference to how you feel when you begin and end each day. A reno of any size can feel overwhelming and like a big undertaking. Cost, disruption of schedule, and design decisions will be factors in how, when, and to what shape your renovation will take. JJ’s Plumbing has worked with many great clients to help them create beautiful bathrooms and kitchens, while keeping their wallets happy! See photos of just some of the projects we’ve taken on. Our team of experts will work with you, in order to map out each step, schedule, fees, as well as anticipate challenges that may arise so you can approach the project with a sense of excitement as opposed to being stressed. 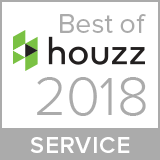 We treat your home like we would treat our own. From start to finish, you can trust our team to take care of you like family. Renovating your bathroom or kitchen is currently on special for $50 off the service! 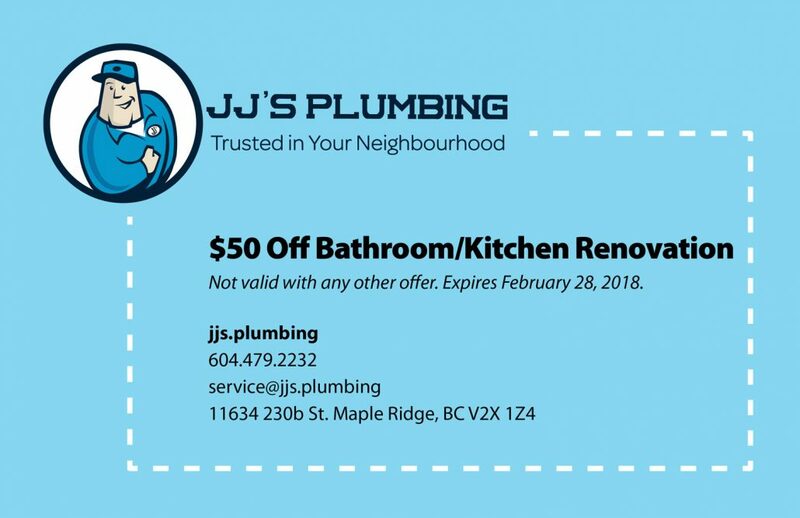 Get in touch to discuss your renovation at 604-479-2232 or email service@jjs.plumbing and schedule an appointment with us today.